Plans changed? Change plans. (If you want.) We’ve made it ultra-simple to upgrade or downgrade the monthly plan you’re on at any time without penalties or sketchy cancellation fees. 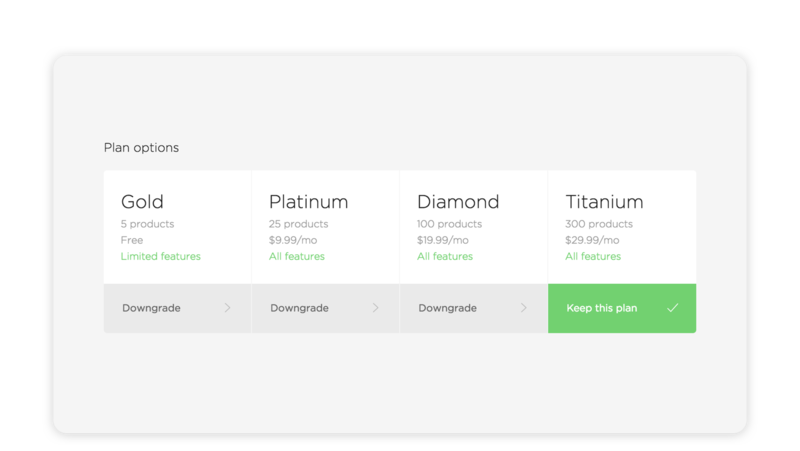 By the way, did you know all upgraded plans include access to all of our premium features? It’s true! If you’re on the free plan right now and really want to see what Big Cartel can do, try out an upgrade. If it doesn’t work out for you for any reason, no sweat, we’ll refund your first payment - just email us and we’ll take care of it. 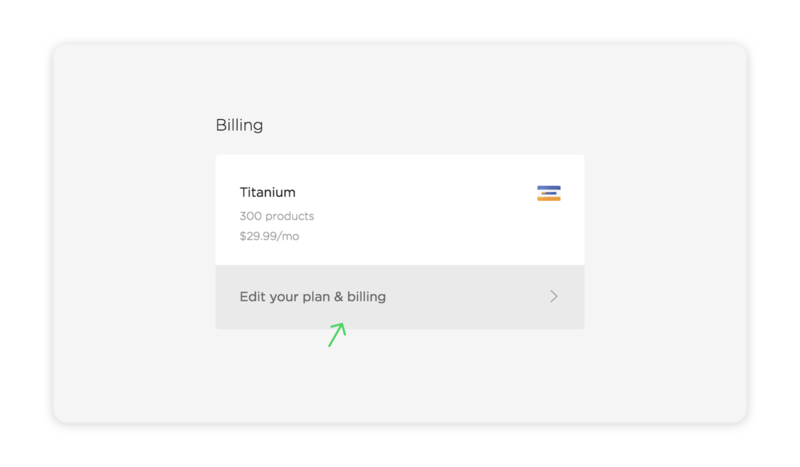 Changes you make to your plan will take place right away, so if you’re downgrading, we recommend doing that just before your next billing date so you get your money’s worth for the full month. When downgrading, any premium features you had will disappear - like additional products, custom domain settings, and custom HTML. Card declined, and not sure why? Your best bet will be to get in touch with your card issuer or bank to see if they’ve flagged the payment on their end, and ask them to let it through. If that doesn’t do the trick we recommend trying a different payment method. Select the plan you want to use, follow the on-screen steps, and you’re set!